In East, Central, and Southern Africa, access to surgical care remains one of the most significant and under-reported issues. This map shows the number of surgeons per 100,000 individuals in an area, in stark contrast to the ratio found in several other more developed countries. Mouse-over to see the ratio of surgeons in a population, and the specialized surgeons that operate there. Zoom-in to specific districts to see areas in which access to care remains low. Note: This data is constantly being updated and improved, and some surgeon numbers may vary across zoom-levels. Click above to find heatmaps. Cick the icons in the bottom right to find points related to surgeons or hospitals. Use the search box above to search for specific hospitals and organizaitons. Use the Organization List to browse hospitals with training centers. Gender equality among surgical professionals remains a critical indicator of diversity of opportunity in East, Central, and Southern Africa. This map shows areas in which gender equality remains low. Mouse-over to see the ratio of male-to-female surgeons in a population. Zoom-in to specific districts to see areas in which gender equality remains limited. This map shows the spectrum of non-governmental organizations (NGO's) providing surgical care globally.  Click on individual countries to find specific organizations that operate within its borders. We are building a tool to help people understand one of the most significant public health issues in the developing world - lack of access to surgical care. SurgeonWorkforce is an open-source project dedicated to shining a light on the global disparity in surgical access, and identifying the most pressing areas of need. Surgeon workforce mapping tool is an open source, collaborative effort led by the International Collaboration for Essential Surgery, College of Surgeons of East, Central, and Southern Africa, Royal College of Surgeons in Ireland (RCSI). Surgeon Density data was contributed by RCSI and COSECSA. To construct this information, an online database of all surgeons working in the COSECSA region was developed in 2012 based on CapsuleCRM software (Zestia Ltd, Wilmslow, UK), a cloud-based customer relationship management (CRM) system. This platform was chosen primarily for its search tools and its ease of integration with other software platforms. In addition, each individual entry is cross-referenced with a list of hospitals, which is maintained in the database. Each surgeon is also linked to one of nine surgical specialities: General Surgery, Orthopaedic surgery, Urology, Plastic Surgery, Paediatric surgery, Neurosurgery, Otolaryngology (ENT), Cardiovascular/Cardiothoracic surgery and Oral and Maxillofacial surgery. The database initially comprised all COSECSA Fellows and Members, in addition to the residents enrolled in COSECSA-approved training programmes in each of the ten countries. Attendance at each COSECSA course and educational event was also registered into the database. Although many of the COSECSA event attendees were not COSECSA members, their information was added to the database, which grew to include the majority of surgeons in the COSECSA region. In 2013, a comprehensive mapping project was undertaken, which involved correlating the surgeons personally known to COSECSA Fellows with data obtained from national medical councils, surgical societies, NGOs, hospital groups, and individual hospitals. 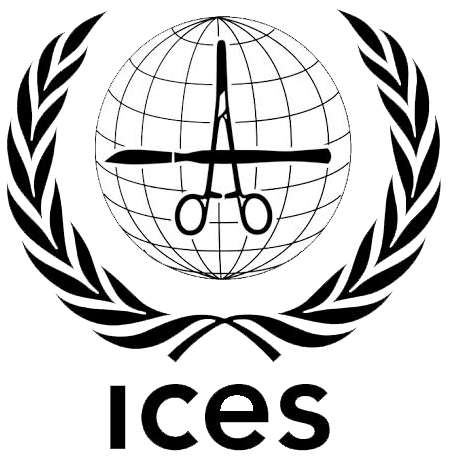 Each entry was verified in consultation with a regional network of COSECSA country representatives and by direct contact with the registered surgeon. 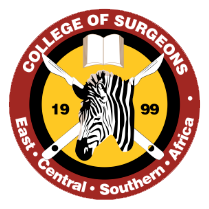 As the surgical training college for the region, with a membership and fellowship incorporating the majority (54%) of surgeons currently practising in the region, COSECSA is uniquely well placed to obtain this data. The database powering the Surgeon workforce mapping tool contains an individual profile of every surgeon living and working in the region and is dynamically updated with additional profiles created. All those who have declared that they have completed certified postgraduate training (either in the region or elsewhere) and are actively involved in providing surgical care to patients have been included in the analysis. Training programs in surgical specialties in Sub-Saharan Africa are a relatively recent development. As a consequence, the division between general surgery and surgical sub-specialities in the COSECSA region is fluid, particularly in rural areas where the general surgeon may frequently perform orthopaedic, urologic, neurosurgical or paediatric operations. As many surgeons often work in both the public and the private sector, we have not attempted to differentiate between surgeons working in the public or the private domain.